Santa Barbara, CA, February 27, 2019 – Frog kissing is optional but a schedule change was required for the Santa Barbara Zoo’s popular Princess Weekend. At the event, young females of royal birth don tiaras, step into their glass slippers, and wear their finest sparkly ball gowns to this celebration of all-things-princess. But it’s not all dress-up, this event also is designed to bring attention to the world’s many frogs, toads, and other amphibians that face possible extinction. Princess Weekend is now set for Saturday and Sunday, March 23 and 24 from 10 a.m. to 3 p.m. (Santa Barbara Zoo members only are allowed early admission at 9 a.m.). The event is free with Zoo admission: $18 adults, $13 seniors aged 65 and up, $11 children 2-12. Parking is $11. For more info, visit www.sbzoo.org. Date change is due to newly scheduled Cabrillo Boulevard closure for vintage car races. 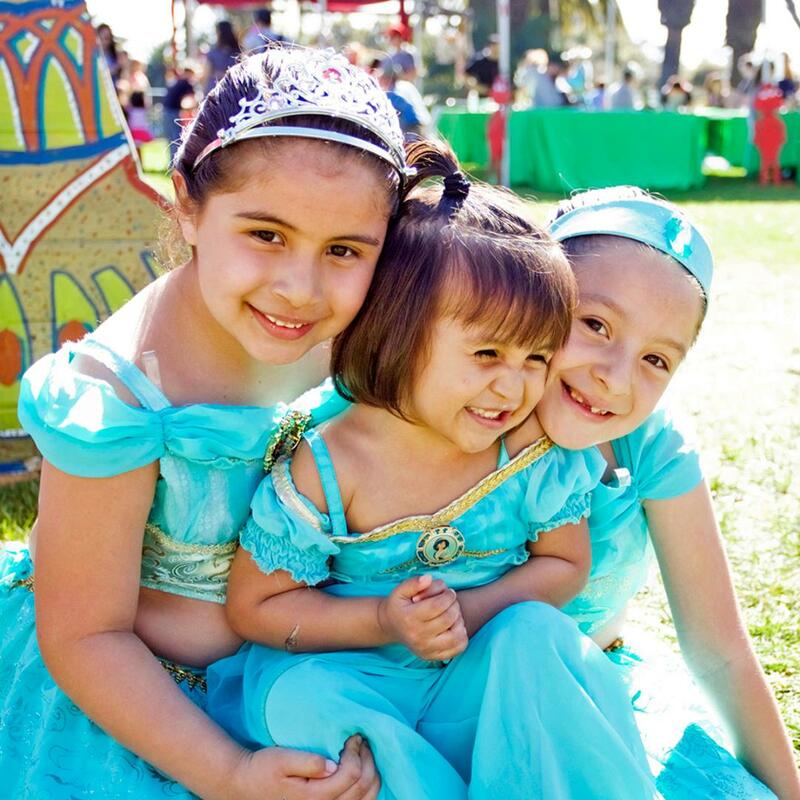 Princess Weekend features a “Kiss a Frog” booth, face painting, bounce house, activities, crafts and more, all with a princess theme. DJ Hetick is spinning tunes for an expanded dance party, and makeovers are available for the young princesses from the Santa Barbara City College Cosmetology Academy. Activities are held at the Cabrillo Lawn area, adjacent to the Cats of Africa exhibit area. Real live princesses like Snow White and Sleeping Beauty, along with mermaids, fairies, and other fairytale characters, will be present. A princess will lead Story Time, and the Zoo’s popular live show, featuring Duncan the T. Rex and his friends, is princess themed. Costumed boys are welcome, be they dressed as knights, princes, cowboys, pirates, or astronauts. Live animal encounters and keeper talks focus on several of the Zoo’s amphibians including milky frog, marine toad, blue tongue skink, caiman lizard, and Western toad, among others. Created by the Santa Barbara Zoo in 2009, versions of Princess Day have been staged at other organizations accredited by the Association of Zoos & Aquariums (AZA) including the Georgia Aquarium, Houston Zoo, Franklin Park Zoo (Boston), Calgary Zoo, Grand Rapids Zoo, Oregon Zoo, and Knoxville Zoo, among others. What Do Sparky Crowns Have to Do with Frogs? Estimates are that at least one-third of known amphibian species are threatened with extinction, a rate higher than that for birds or mammals. While the major culprits historically have been habitat loss and degradation, the main challenge today is the rapidly dispersing infectious fungal disease chytridiomycosis, which is causing population and species extinctions at an alarming rate. AZA accredited zoos and aquariums are committed to ensuring the survival of all amphibian species and are already an active force in amphibian conservation. For more information, visit www.aza.org/amphibian-conservation/. Known as one of the world’s most beautiful zoos, the Santa Barbara Zoo is located on 30 acres of botanic gardens and is home to nearly 500 individual animals in open, naturalistic habitats. It is accredited by the Association of Zoos & Aquariums (AZA), representing the highest level of animal care, and participates in AZA endangered species programs for Asian elephant, snow leopard, California condor, Channel Island fox, and Western lowland gorilla, among others. A private 501(c)(3) nonprofit corporation, the Santa Barbara Zoo depends on community support, not tax dollars, for operations and improvements. Visit www.sbzoo.org. Uncover the mystery in the first clip revealed below from "Nancy Drew and the Hidden Staircase," an all-new film coming to theaters on March 15 from Warner Bros., Ellen DeGeneres’ A Very Good Production and Red 56. The iconic mystery solving teenager from the classic Nancy Drew books is back with an all-new feature length film that will keep you guessing until the very end! The clip from “Nancy Drew and the Hidden Staircase” above follow’s Nancy Drew and her friends teaming up to take down high school bully, Derrick.